"I use his bag for squash. 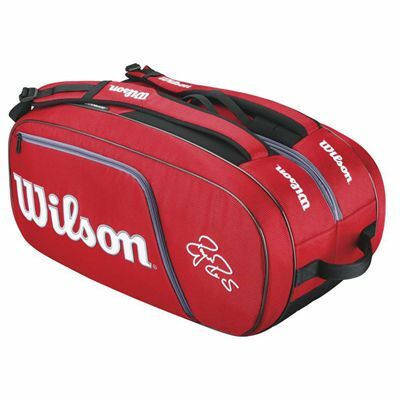 Fits 6 rackets easy,loads of space, comfy to carry. Shoe space tight for size 12's and be very careful not to over load the smaller pockets as zip is close to the edge, I ripped it within 30 seconds. Other than that great bag and not matter what's in it never feels heavy."